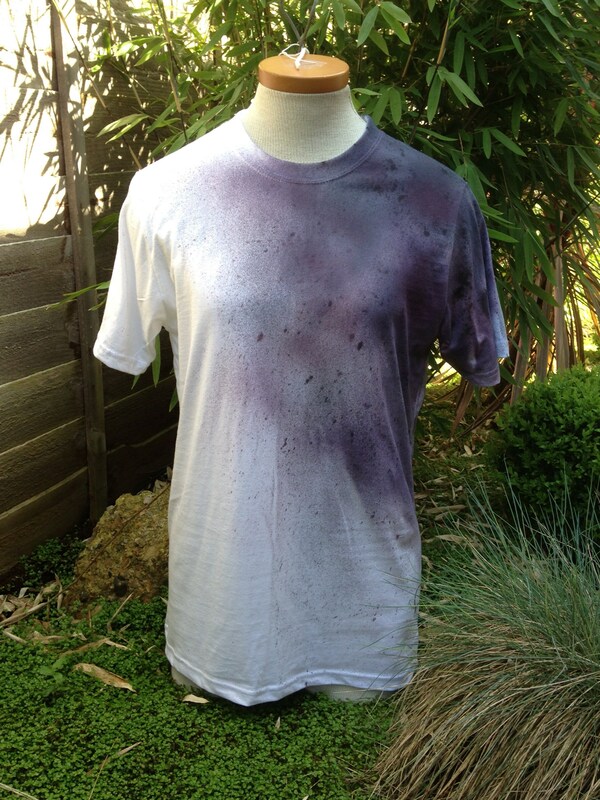 A one time opportunity to purchase this one off piece unisex tshirt. 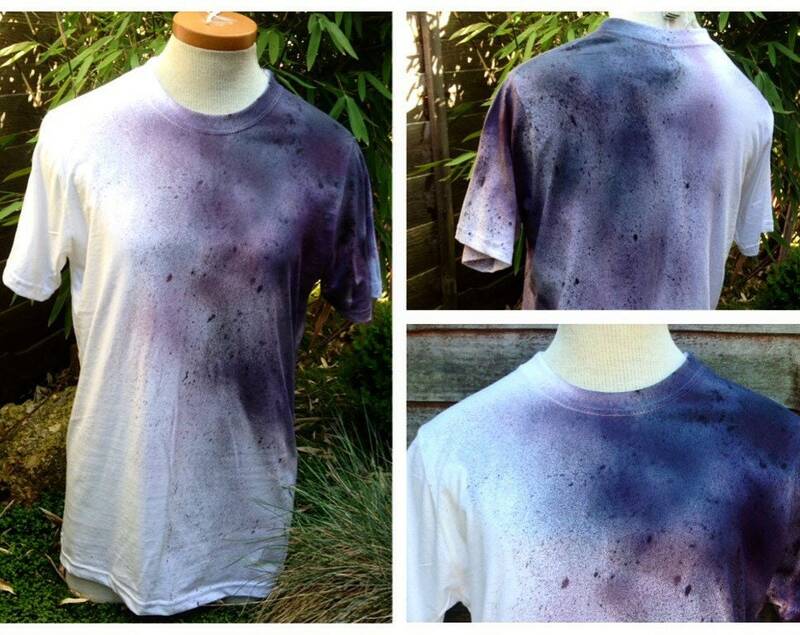 It was fun to create this galaxy inspired design. 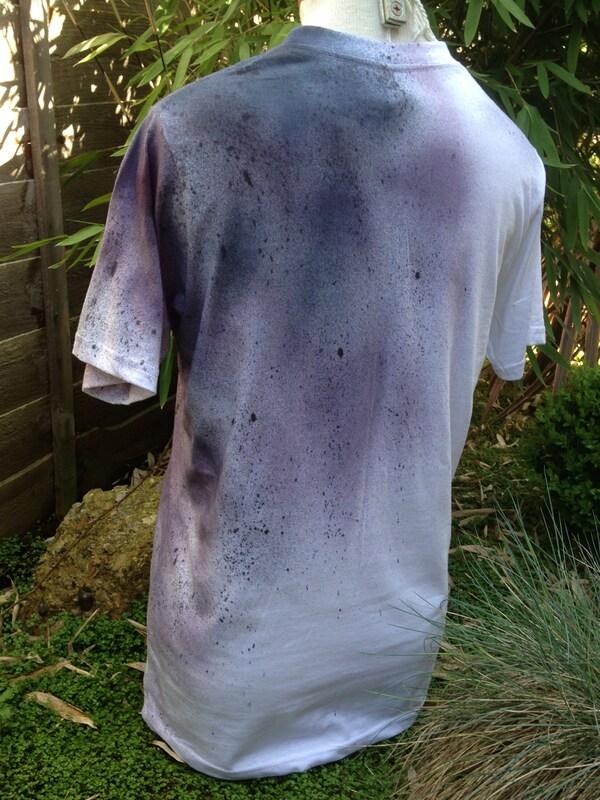 I used black and purple Inkodye fabrik dye and spray painted the design. I would recommend to wash this tshirt by hand first. Feel free to have questions about my item.